The Warriors have the potential to be the best team of all time, while LeBron James’ Lakers squad will have to battle just to make the playoffs in the competitive Western Conference. 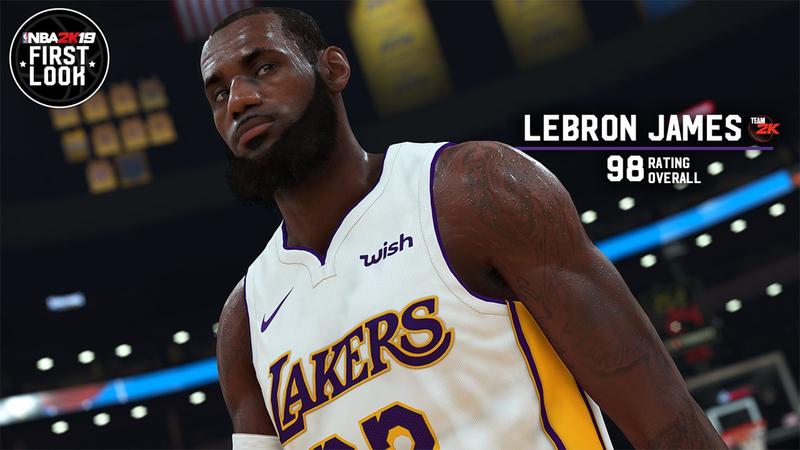 That was learned through simulations in “NBA 2K18,” but now, with just over a week until “NBA 2K19” is slated to release, player ratings have been revealed providing more expectations for the season ahead. The top of the list is populated with Golden State players, as the defending champs have a starting lineup made up entirely of All-Stars. Only one other team in the NBA (Celtics) features more than two players rated 87 or higher, but the Warriors have five of them. Celtics forward Jayson Tatum makes the biggest leap, jumping five points from his rookie season. Jazz guard Donovan Mitchell gained three points, and 2018 Rookie of the Year Ben Simmons went up by two. At the top of the scale, James and Durant each earned an extra point. Few players in the elite class dropped, with the exceptions being a point lost by Kawhi Leonard and Kevin Love. The rookie class is led by No. 1 overall pick Deandre Ayton at 79 Overall, and he’s matched by Luka Doncic, who was taken third by the Hawks and traded to the Mavericks. Marvin Bagley III and Jaren Jackson Jr. land at 78 Overall, while Trae Young, Mo Bamba, and Wendell Carter Jr. begin their careers at 77. Even though it’s only the 19th year of the series, the release of “NBA 2K19” is being celebrated as the 20th anniversary, with James featured on the cover of the more expensive $100 edition that will be available Sept. 7. The standard edition with Antetokounmpo on the cover will sell for the regular $60 when it releases four days later on Sept. 11. Bryan Wiedey posts sports gaming news and analysis daily at Pastapadre.com, is co-founder of the sports gaming site HitThePass.com, hosts the “Press Row Podcast” and can be reached on Twitter @Pastapadre.